What is the District’s mission? How was the District created? How is the District and its work funded? How is the District governed? What types of properties does the District protect and preserve? Where are the District’s protected lands? How does the District partner to create public access to protected lands? What are the benefits of working with the District to protect the agricultural and/or open space values of my property? What is a recreation covenant? The Sonoma County Agricultural Preservation and Open Space District permanently protects the diverse agricultural, natural resource, and scenic open space lands of Sonoma County for future generations. The District was formed by a vote of the citizens of Sonoma County in 1990 to acquire and preserve agricultural and open space lands as a legacy for future generations. Voters supported a quarter-cent sales tax to fund the District and its work, which was renewed by the voters in 2006 with 76% of the vote. The re-authorization ensures the District will be funded through 2031. Sonoma County voters approved Measures A and C to create the District and enable a quarter-cent sales tax to fund District operations until 2011. In 2006, with 76% of the vote, Sonoma County residents approved Measure F to extend the quarter-cent sales tax through 2031. Sonoma County is one of the few jurisdictions in the nation to use a sales tax for the purchase of conservation easements to protect agricultural lands and preserve open space; and the District leverages these funds by attracting additional funding partners and grant agencies to participate in some acquisitions. The District is financially accountable to the public through an annual audit and oversight by the Fiscal Oversight Commission, who monitors all sales tax expenditures. The District is a Special District of the County, which is a government entity created for special purposes. The District serves all of Sonoma County, and is overseen by three bodies -- a Board of Directors, whose members also serve as Sonoma County’s Board of Supervisors, a Fiscal Oversight Commission, and an Advisory Committee. The District has protected over 106,000 acres of land throughout Sonoma County. Peruse this map to explore and learn more about the District's protected lands. 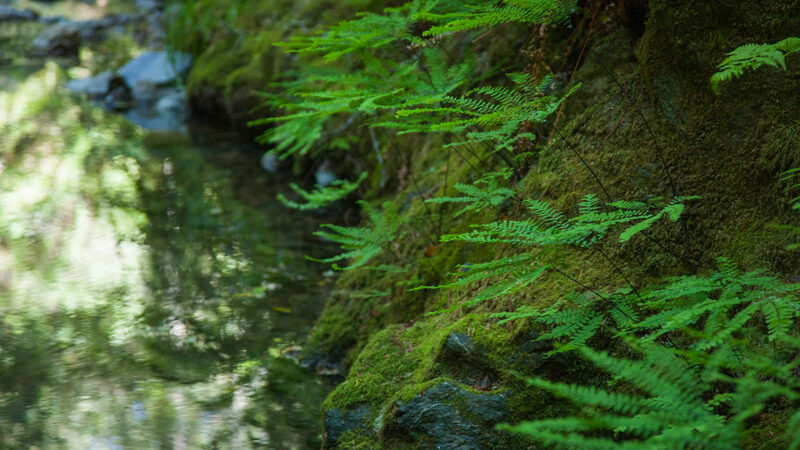 With over a million acres of land stretching from the beaches and estuaries of the Pacific Ocean to the Mayacamas Mountains, Sonoma County encompasses a tremendous range of stunning natural areas. The vast open spaces draw many residents and visitors that help define the character of the county. A wide variety of agricultural producers contribute to the vitality and diversity of the economy, and to the stewardship of these natural areas. The District has purchased properties nearby and adjacent to each of Sonoma County’s nine cities that have enabled the creation of public spaces that are easily accessible to the majority of the County’s residents. Since 1990, the District has protected nearly 20,000 acres of publicly accessible open space — adding significant acreage to Sonoma County’s network of City, Regional and State Parks. The District was created to preserve agricultural and open space properties, including those with the potential to become public parks, but was not directed by the voters to manage or operate them. This is where our partners come in. Agricultural and Conservation Education Program -- The District partners with local nonprofit organizations to lead numerous public outings for adults and children on District-protected lands throughout the year. Property Transfers -- The District transfers properties it owns outright to recreational entities such as Sonoma County Regional Parks, California State Parks, or Cities to operate and manage in perpetuity. When the District transfers lands, it always retains a conservation easement and, in some cases, a recreation covenant. Initial Public Access and Operations and Maintenance Funding -- Per the District's Initial Public Access, Operation and Maintenance (IPAOM) policy, the District provides a limited amount of funding for initial public access improvements on District-protected recreational lands, such as signs and trails, as well as to help cover the first three years of operation and maintenance expenses. The goal is to ensure the efficient opening of these lands for public enjoyment, while also ensuring public safety and the protection of the properties' natural resources. There are myriad personal and community benefits that come from working with the District to protect your land. Learn more about those benefits here. The most traditional tool for conserving private land is a “conservation easement,” which is a legal agreement between a landowner and a land trust or government agency that permanently limits uses of the land in order to protect its conservation values. It allows landowners to continue to own and use their land, and to sell or pass on the property to heirs. Subsequent owners are obligated to use the land under the terms of the conservation easement. The conservation easement is binding in perpetuity – in other words, forever. Learn more about conservation easements and how they work here. The District protects the public’s permanent right to enjoy recreational lands we purchase and protect by utilizing recreation covenants. These covenants are legal documents and run with the land, as conservation easements do, meaning they remain in place permanently regardless of changes in land ownership. Recreation covenants require landowners to keep recreational lands open to the public forever, for passive outdoor recreation and education in a manner that is also consistent with the terms of the conservation easement on the property.